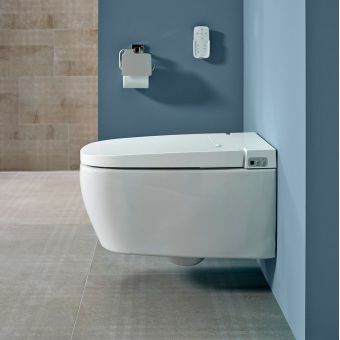 Give a toilet a quick makeover with the Geberit AquaClean 4000. Easy to use and install, we offer this seat as an upgrade to your existing toilet or you can buy it complete with a matching toilet pan. 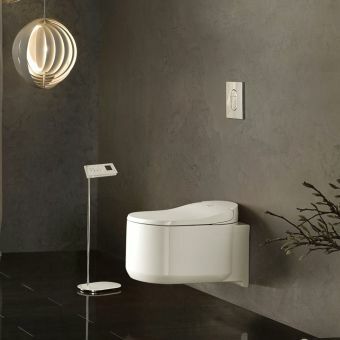 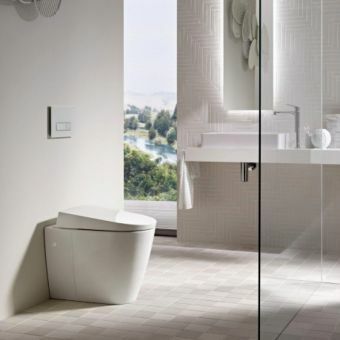 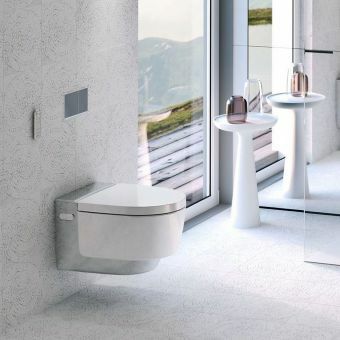 The sleek, compact design gives a bathroom a luxurious look while using modern technology with a high-tech seat and lid. 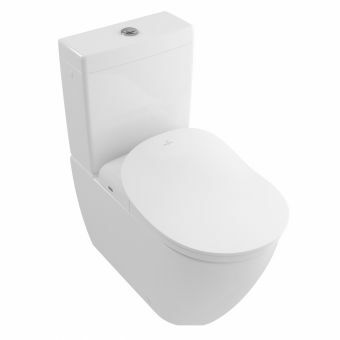 This seat features adjustable water spray strength and a ergonomically designed seat and control options. 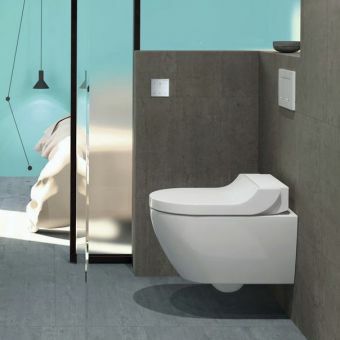 By simply pressing a button, experience the spray of water at a normal body temperature and user chosen pressure to ensure users get a gentle and effective cleaning. 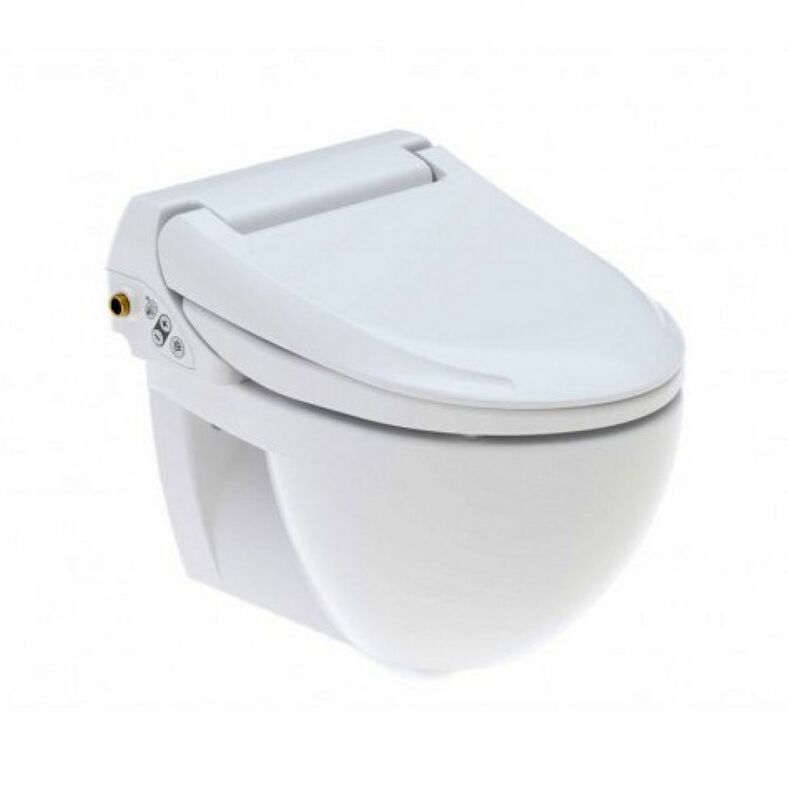 The controls are found on the side of the seat and are very user-friendly. 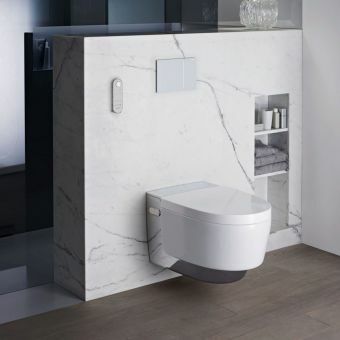 With all the high-tech features and the easy-to-remove design, users can quickly remove it while moving and with the crisp white colour of the seat, it will match any new bathroom decor.